Artistic Director, Het National Ballet. Dutch born Ted Brandsen, joined Het Nationale Ballet as a dancer in 1981. His first foray into choreography was as part of Het Nationale Ballet's annual choreographic workshop in 1985, following which he started to create works for various dance companies in Holland. Brandsen's work has been commissioned by the Amsterdam Arts Council, CaDance Festival in the Haque, the Holland Dance Festival and NOS — Dutch National television. In Holland, his works are now also featured in the repertoires of Djazzex, Introdans and other dance companies. Internationally Brandsen has worked with companies in Europe and the USA, including the National Ballet of Finland, Ballet West, Les Ballets de Monte Carlo, the Istanbul State Ballet, Ballet —Th__tre de Bordeaux, Israel Ballet, Donau Ballet, and the National Ballet of Portugal. In 1998 he choreographed his first full length ballet, a new production of The Sleeping Beauty for The National Ballet of Portugal. Also in 1998, Brandsen was appointed to the position of Artistic Director of West Australian Ballet, in Perth, Australia. Under his directorship, the company had considerable success, and received several awards. Brandsen choregraphed numerous ballets for West Australian Ballet, including Chairman Dances (1998), Rose Spirit, his first work for the Festival of Perth (1999), Bridge Variations (1999, restaged for Ballet West that same year), Short Stories (2000), Romeo + Juliet (2000), Terrain of the Heart, Pulcinella and Driven (2001). He received The Australian Dance Award for Choreography 2000 for his succesfull 1999 production of Carmen, which was subsequently televised and released on video. 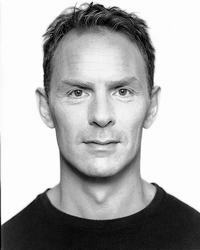 In January 2002 Ted returned to Het Nationale Ballet in the position of Associate Artistic Director and Resident Choreographer. From June 2003 he has succeeded Wayne Eagling as Artistic Director of Het Nationale Ballet.